Starting out with The Two Ronnies, Smith and Jones and Not The Nine O'Clock News, Andy went on to create Drop The Dead Donkey. With co-creator Guy Jenkin, he wrote sixty episodes and the series won a BAFTA, two Emmys and three Writers Guild Awards. As a vastly talented and experienced comedy scriptwriter, Andy is also a familiar face to television audiences through his regular appearances on Have I Got News For You and QI. Amongst Andy's many other writing credits are Underworld and Bedtime. Eleven Men Against Eleven, a one-off comedy about football, won the Royal Television Society Award for Best Single Drama. Andy also co-wrote, directed and produced Outnumbered, BBC's groundbreaking sitcom starring Hugh Dennis and Claire Skinner. 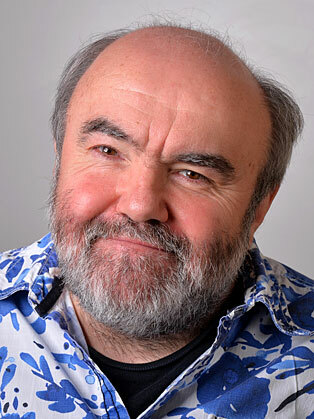 On radio, he is a regular contributor to Radio 4's News Quiz and an occasional panellist on I'm Sorry I Haven't A Clue. He also wrote and performed (as Satan) Old Harry's Game, for which he won a Sony Award. He is both writer and director of Trevor's World Of Sport.